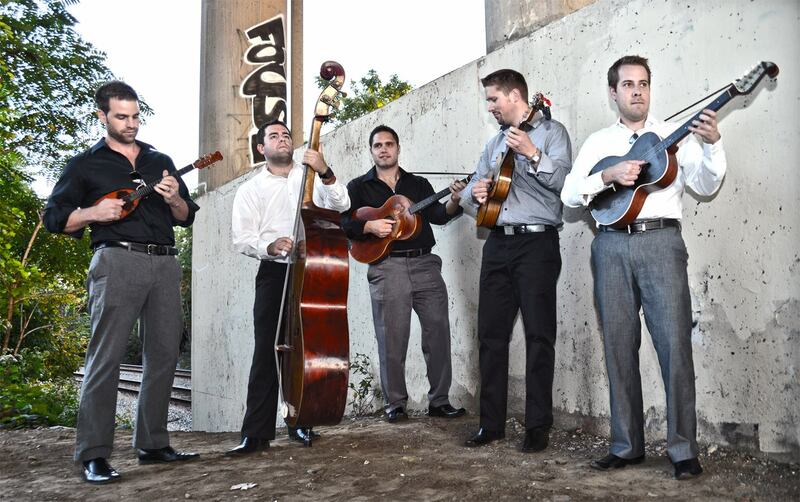 TS Ponoć is, for short, a Pittsburgh-based but world-renowned tambura band with deeply-rooted musical traditions. Ponoć plays a wide variety of music from Eastern Europe and the Balkan states. They mainly focus on music from Croatia, Bosnia and Hercegovina, and Serbia. 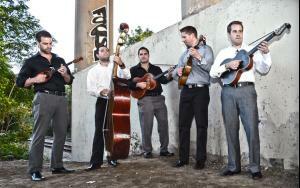 However, you may hear them introduce some Gypsy, Macedonian, Bulgarian, Greek, Hungarian, and Italian tunes along the way. From traditional bećar songs to modern pop, love ballads to furious instrumentals, TS Ponoć will entertain! The Ponoć show on The Little Stage on Jupiter was, without question, the best event we ever conducted in our backyard. Talk about an enthusiastic crowd – dancing, singing along, maybe fueled by a little slivovitz. We can’t wait to see what happens in The Red Barn. Parking at The Red Barn will open at 6 PM. The music will start promptly at 7. This event is for age 21+ adults only, and is BYOB. For those who like to travel lightly and not BYOB, we will have a supply of beer from Straub Brewery (donations to the bands requested), and wine from Pittsburgh Winery (of course). Feel free to bring snacks or a picnic meal. We have seating for 60 inside the Red Barn – but the Barn holds more than 60 – so bring a folding chair if you want to make sure you have a seat. MNOJ is picking up 100% of the ticket agency fees for this event. Tickets will be $15 at the door, so save yourself a couple of bucks by registering and reserving your space today!